The Most Expensive Films Ever Made | Warped Factor - Words in the Key of Geek. Twenty years ago James Cameron's Titanic became the first film to cost $200 million. Since then another 42 movies have cost at least that and it's become the norm for a Summer blockbuster to feature such a large budget. But throughout the history of cinema which films hold the record for the most expensive of their time? And, when adjusted for inflation, which film takes the top spot today? Note: When compiling this feature we have solely used the known net negative cost, which is the costs of the actual filming, not including promotional costs (i.e. advertisements, commercials, posters, etc.) and after factoring in any tax rebates or credits. The adjusted for inflation figures are calculated at year end 2015. We begin our journey 100 years ago at the height of the silent era of cinema. It was a time when the cost of film-making was growing rapidly as the productions became longer and more ambitious, and the techniques and equipment became more sophisticated. Many films were marketed as costing far more than they actually did. A prime example of this is the 1916 D. W. Griffith's film Intolerance which was reputed to have cost $2 million, but accounts showed it actually cost $385,906.77. Also in 1916, A Daughter of the Gods was advertised as costing a million dollars but Variety estimated its true cost at less than $850,000. 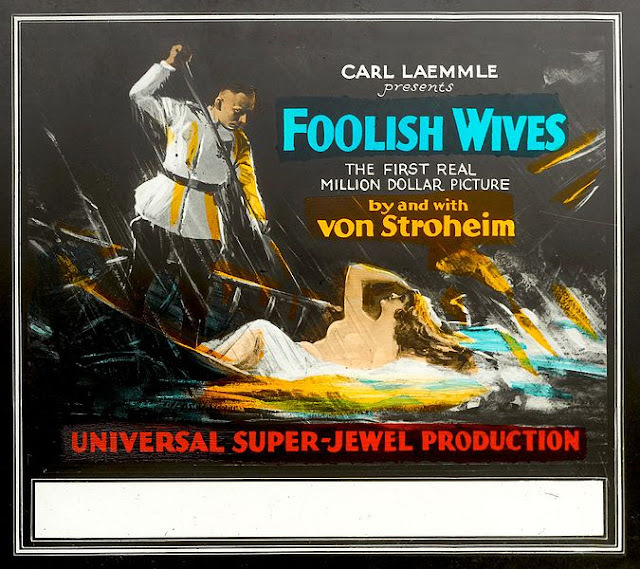 The first film that is confirmed to have had a $1 million budget is the 1922 feature Foolish Wives. The silent drama told the story of a man who names himself Count Wladislaw Sergius Karamzin in order to seduce rich women and extort money from them. He sets up shop in Monte Carlo and his partners in crime (and possible lovers) are his cousins: "Princess" Vera Petchnikoff and "Her Highness" Olga Petchnikoff. Written by, directed by, and starring Erich von Stroheim as the Count, he had intended the film to run anywhere between 6 and 10 hours, and be shown over two evenings, but Universal Studios executives opposed this idea and cut the film drastically before the release date, and took advantage of its exorbitant price by advertising it as "The First Real Million Dollar Picture". Foolish Wives was released in January 1922, in September that year it lost its title of the most expensive film ever made to the historical production When Knighthood Was A Flower, which told the story of Mary Tudor, the younger sister of King Henry VIII. At $1.5 million it was narrowly bested the following year by Cecil B. DeMille's epic The Ten Commandments. 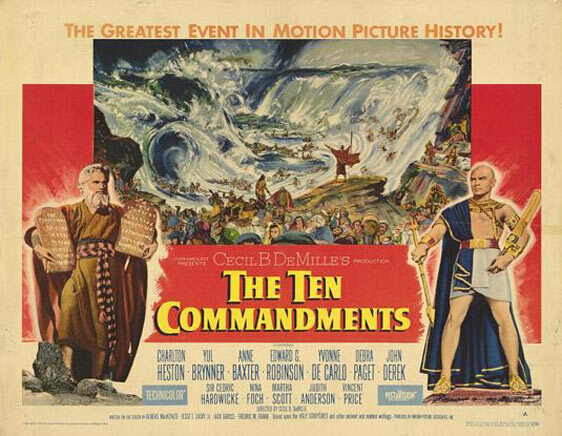 Lauded for its "immense and stupendous" scenes, use of Technicolor process 2, and parting of the Red Sea sequence, The Ten Commandments proved to be a huge box-office hit upon release, raking in a cool $5 million. 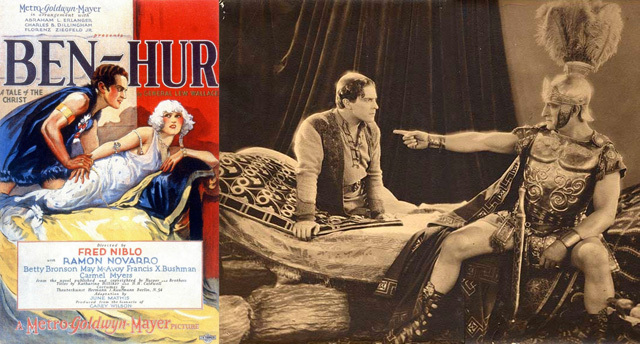 The most expensive film of the silent era, however, was Ben-Hur. The novel, Ben-Hur: A Tale of The Christ, had been a great successl, and was adapted into a stage play which ran for twenty-five years. In 1922, two years after the play's last tour, the Goldwyn company purchased the film rights, but the play's producer, Abraham Erlanger, put a heavy price on the deal, negotiating a generous cut of the profits and total approval over every detail of the production. Released in 1925, the film cost $3,967 million, an astronomical sum for those days and approximately twenty-five times the $160,000 cost of an average MGM feature. It was marketed with lines like: "The Picture Every Christian Ought to See!" and "The Supreme Motion Picture Masterpiece of All Time", and audiences flocked to their local picture house to experience this marvel. The film went on to gross $9 million worldwide, but thanks to the deal with Erlanger, Ben Hur actually made a net financial loss of $698,000. Although the first film with synchronised sound was projected in Paris back in 1900, it wasn't until the mid to late 1920's when Hollywood began to produce "talking pictures". By the early 1930's it was a global phenomenon, but it would by 1946 before any film surpassed Ben Hur's production budget, not even the 1939 epic Gone With The Wind cost more than that silent feature. Duel in the Sun, the 1946 Technicolor Western film directed by King Vidor, was produced and written by David O. Selznick (who also produced Gone With The Wind) and tells the story of a Mestiza, a half-Native American girl who goes to live with her caucasian relatives, becoming involved in prejudice and forbidden love. 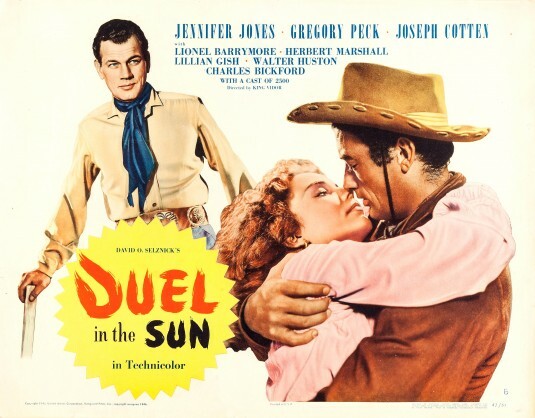 Selznick had high hopes that Duel in the Sun would surpass his success with Gone with the Wind, a film which went on to take $390 million at the box office, but it received poor reviews and was highly controversial due to its sexual content, and because of Selznick's real-life relationship with star Jennifer Jones, an affair which broke up both of their marriages. In the end, after all promotional and distribution costs were factored in, the film only broke even. It's a case of deja vu as our next two films are remakes of silent epics. Filmed on location in Egypt, Mount Sinai and the Sinai Peninsula, and featuring one of the largest sets ever created for a film, The Ten Commandments saw Cecil B. DeMille remake his 1923 silent film. It was his last and most successful work, and at the time of its release on November 8th 1956 it was the most expensive film ever made, bursting through the $10 million threshold with a final filming budget of $13,272 million. Three years later a remake of Ben Hur, starring Charlton Heston, would take the top spot with a filming budget of $15,175 million. In 1962 Mutiny On The Bounty came close to $20 million, with a final filming budget of $19 million and change, but the first film to break $20 million was originally meant to cost a tenth of that figure. 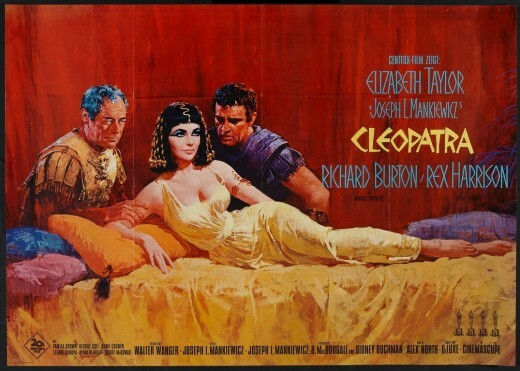 The movie is 1963's Cleopatra, and was originally budgeted at $2 million, however the film ended up costing over $31 million, and almost bankrupted 20th Century Fox. The costs escalated thanks to the film's elaborate, complicated sets, and the costumes and props which all had to be constructed twice, first during an abandoned shoot in London and once more when the production relocated to Rome. Elizabeth Taylor had negotiated herself a record-setting contract of $1 million, which was originally meant to be half the cost of the film, but this amount eventually swelled to $7 million because of the delays of the production. That's equivalent to $54,100,000 payday by 2016 standards! Because of its huge budget, which when adjusted for inflation is around $260 million today, despite it being the highest grossing film of 1963, Cleopatra still lost money on its initial release. For 15 years Cleopatra held the title of the most expensive film of all time, and it looked like it would see out the 70's with that honour too as most of the big budget movies of the decade cost way less than $20 million. For example; Jaws, the first real prototypical summer blockbuster film, cost $9 million, Star Wars came in at $11 million, and Close Encounters of the Third Kind wrapped with a filming budget of $18 million. But in 1978 Ilya Salkind and his father Alexander broke all records and spent a whopping $55 million convincing the world that a man could fly. 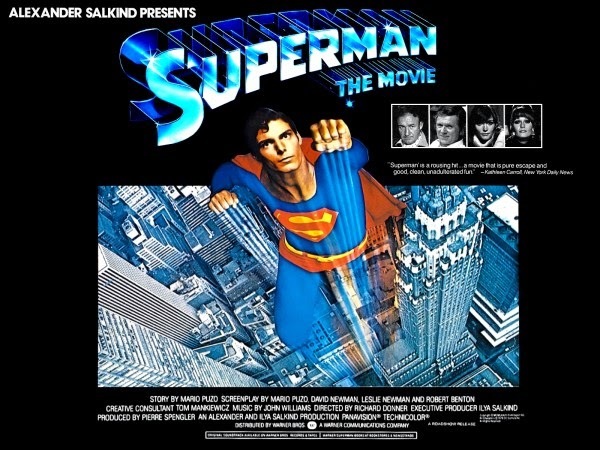 Director Richard Donner shot parts of Superman II at the same time as Superman: The Movie, but even allowing for that it wouldn't have had much impact on the final budget and the first film still would've been at least a $50 million production. A large chunk of that money went to Marlon Brando who signed on to play Jor-El in 1975 and negotiated a salary of $3.7 million. He also took 11.75% of the box office gross profits, meaning he walked away with $19 million. Not bad for 12 days of work! When adjusted for inflation Superman's budget of $55 million works out just over $200 million, the same figure spent on 2006's Superman Returns. It was a decade before any Hollywood production toppled Superman as the most expensive film of the time. That honour briefly went to Rambo III, before being displaced the following month by Who Framed Roger Rabbit, both costing $58 million and change. 1990 saw Die Hard 2: Die Harder become the first movie to break the $60 million threshold, coming in at $62 million. The following year Terminator 2: Judgement Day left them all in its rear view mirror with a filming budget of $94 million. 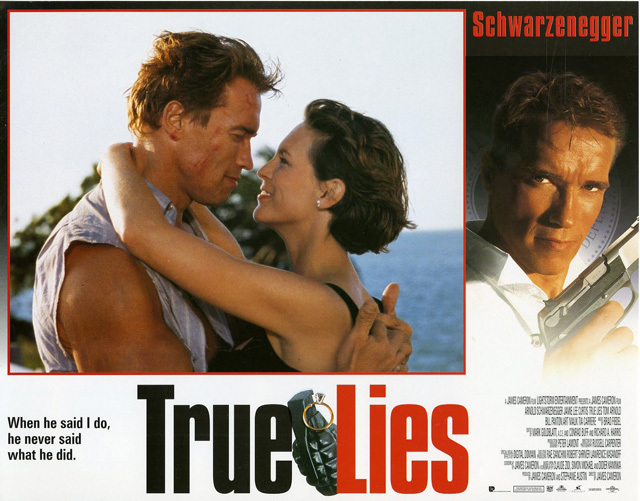 Arnold Schwarzenegger and James Cameron would team up again three years later for the first $100 million movie, True Lies. James Cameron clearly has a thing about making the most expensive movie, as the rest of this feature will attest. Throughout the 1990's he directed just three films. Upon their respective releases all three of them held the title of the most expensive motion picture of all time. There's a saying that everything costs more on water. Sure was true for Kevin Costner who saw Waterworld's $100 million budget spiral out of control thanks to a series of water related cost overruns and production setbacks. 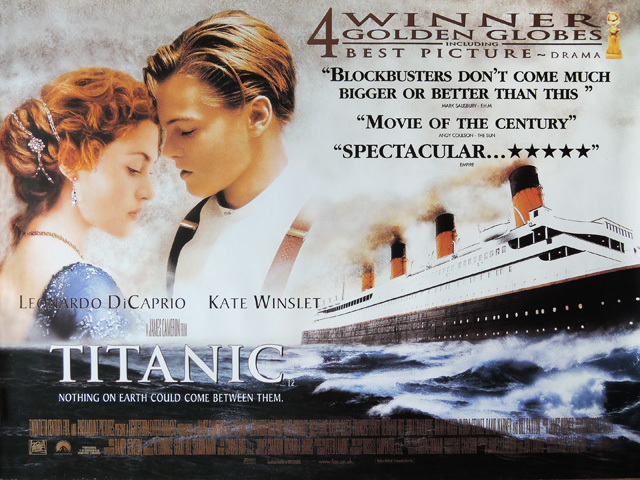 Coming in at $172 million, the 1995 release held the title of the most expensive film for two years, that was until James Cameron took to the seas for Titanic, and hit the $200 million threshold. Unlike Waterworld (which did actually make money, just not that much money), Titanic was a massive success. It was the first film to reach the billion-dollar mark in ticket sales, with an initial worldwide gross of over $1.84 billion, and it remained the highest-grossing film of all time until James Cameron's 2009 film Avatar surpassed it in 2010. (Surprisingly, given Cameron's track record, Avatar didn't trouble the then current holder of the title of most expensive film, as Avatar cost $237 million, a figure that has already been surpassed in 2007 by Spider-Man 3's $257 million budget.) A 3D version of Titanic, released on April 4th 2012 to commemorate the centennial of the sinking, earned the film an additional $343.6 million worldwide, pushing it's worldwide total to $2.18 billion, and given Titanic the honour of becoming the second film to gross more than $2 billion worldwide (after Avatar, naturally). 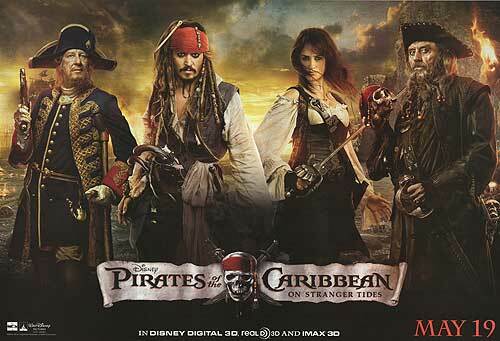 The second and third Pirates of the Caribbean films, Dead Man's Chest and At World's End, were shot back to back. 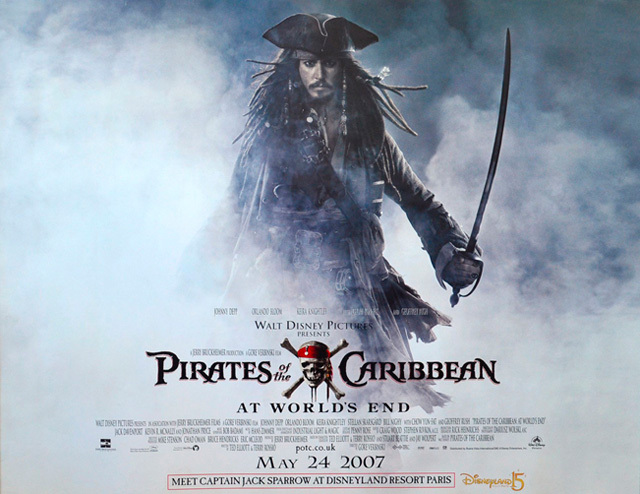 2006's Dead Man's Chest was assigned a budget of $225 million, but for 2007's At World's End, the film that was intended to be the final chapter in the series, Gore Verbinski was given a production budget of $300 million! So there you have it, Pirates of the Caribbean: On Stranger Tides officially holds the record of the most expensive film of all time with a nominal budget of $378.5 million, and an adjusted budget of $398 million. I think it'll take some time before it's topped as even today's mega-budget productions cost around the $250 million mark (a figure spent on both Batman V Superman, Captain America: Civil War). As you can see, Disney's 2010 release Tangled comes in fifth, with a nominal budget of $260 million, making it the most expensive animated feature of all time. This is largely due to its six year development process. Disney's John Carter also features in the top 10, a film which barely made back its nominal budget of $264 million when released in 2012. It's also worth mentioning The Hobbit trilogy, which although counts as three separate films they were all commissioned together and shot back-to-back. They stand together as the most expensive film production of all time, with combined costs of $623 million!